This past weekend I made it down to Southern California to take in the holiday events (and roller coasters) at two of the regions parks. The first stop on the trip was Knott’s Berry farm, to take in Knott’s Merry Farm, and finally take a ride on Voyage to the Iron Reef, as well as some of Knott’s best attractions. Knott’s is sort of a unique park. 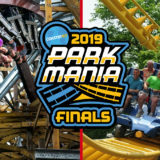 While it’s owned by Cedar Fair, which is best known for parks with world class thrill rides, Knott’s comes across much more as a family park (although it does have some great coasters), with a large focus on things like shows, live historical demonstrations, and detailed theming. In a lot of ways it feels more like a Disney park than a Cedar Fair or Six Flags property, and considering it costs a fraction of nearby Disneyland and Universal Studios, it does an impressive job of scoring in those areas. I’ve never been to Merry Farm before, and was curious to see how detailed the decorations for the holidays were. Of course, the first actual stop on a visit to Knott’s for a Coaster101 writer has to be a roller coaster. With GhostRider closed down for it’s refurbishment, Silver Bullet, the Western Themed B&M inverted coaster that soars by the entrance gate of the park, was the obvious first stop. Views from the long Silver Bullet line. Despite what seemed like relatively light crowds walking around (and into) the park, the wait for the ride was over two hours. 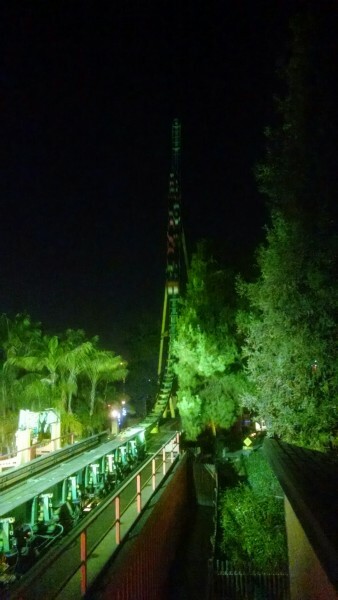 I think because this weekend falls before the holiday crowds arrive, Knott’s was using the time for some maintenance and only one train was running. A second train was visible on the transfer/maintenance track with some missing seats and harnesses, so it seemed that was the case. Unfortunately between no GhostRider and one train, it meant quite a long wait. 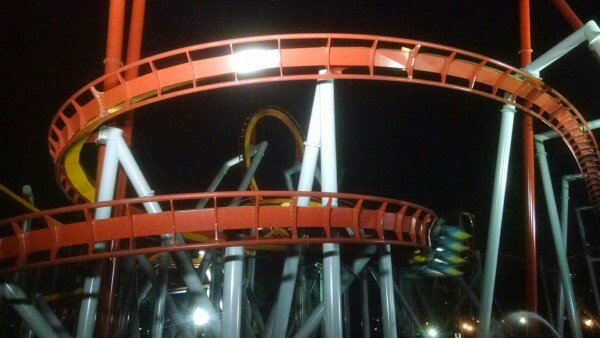 The ride was still solid though, and it is one of my favorite B&M inverted coasters. Silver Bullet ran all day and night with one train. Unfortunately, Voyage to the Iron Reef had a similarly long wait, but since I hadn’t been on it before, I figured I need to wait it out anyway. I realize this is coming about 6 months late, but I figure I can still throw out my thoughts. I didn’t really know what to expect for it, with my only previous interactive ride/coaster experiences being at Disneyland and no experience with Triotech rides. Starting with the positive, I was actually more impressed with the visuals than I expected. The animations seen online, and in the line for the ride, looked very “computer game from 10-15 years ago” but on the actual ride with the 3-D glasses it was much cleaner than that. Triotech did an excellent job using actual sets and props to smoothly transition between screens without taking the riders out of the experience, and the props were well done. The ride also impressively made it feel like there was more motion going on than there actually was, either from slight movements of the cars or things like blasts of air. So overall, I was impressed with the effects and how the ride moved. Similarly it felt longer in terms of track length than it actually was; you almost don’t notice that you’re stopping in front of each screen. 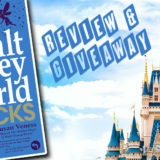 Although for the most part it was well done, there are a few things I wish had been improved. First, the sound on the ride needed to be better. I got none of the “story” of what was actually happening. There was one short video in the queue (that I got to watch multiple times) that only kind of explained what was going on, and once on the ride I basically couldn’t hear the narration. I believe the speakers were in front of the rider, and I feel like it could have been much improved with speakers behind as well, or maybe just more volume (or a longer “intro” part of the ride). Additional queue videos explaining what this “sub” vehicle was and what I was supposed to be fighting or looking for could have helped as well, the line was plenty long for it (I’m thinking Indiana Jones ride kind of stuff). 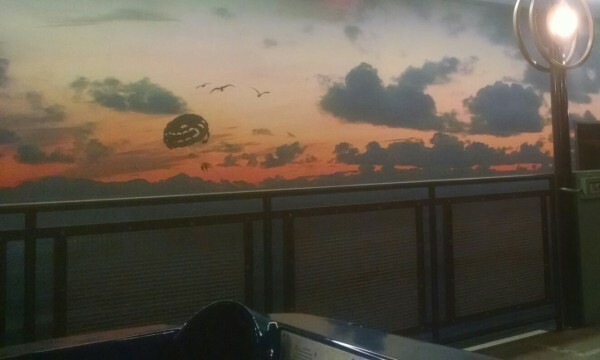 One effect that I would have liked to see would have been something similar to what happens on “Ariel’s Undersea Adventure” at California Adventure. When Voyage to the Iron Reef “dives” you are really just sort of sitting there, with no noticeable effects. A small drop in the track level for diving, with some cool mist/lighting water effects to make it look like you’re diving underwater would have helped. It’s not a huge thing, but it’s a fun effect that doesn’t seem like it would have been hard to add. Lastly, the biggest issue was capacity and operations. Now this may have partly been because of the other long lines and that it’s the newest ride, but cars were stacking up in the station and the ride already has a pretty low capacity (800 riders per hour). For a ride that doesn’t really have restraints, it seems like it would have been easy to make an omnimover style vehicle and station that quickly allows riders to load and unload. 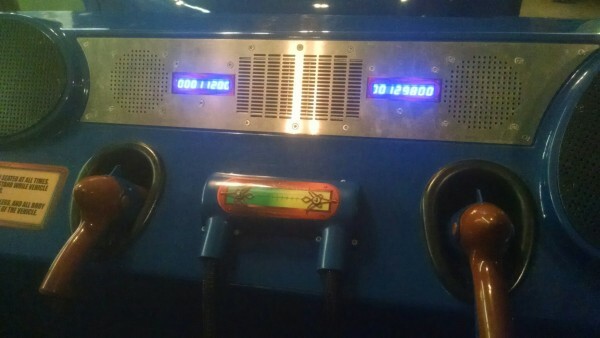 It also seemed like there could have been more vehicles on the ride total. The empty seat next to me did not do nearly as well as I did (I gave up pretty early on using two guns). I have no idea if this is actually a good score. Overall it was enjoyable, and I was impressed with the quality of the visuals. I’d like to go on it again and not bother playing the game, but just look at the screens, I missed a lot of the imagery of the park and old rides as I was too focused on blasting the fish in front of my face (another improvement would probably be actually reducing the number of targets, it was a little overwhelming for something with great detail in the scenes). Tired of waiting in long lines, I decided to spend the rest of the visit exploring Ghost Town and taking in some of the holiday decorations. I first swung by GhostRider to see if I could spot any construction. None was obviously visible, but it was weird being in that corner of the park. 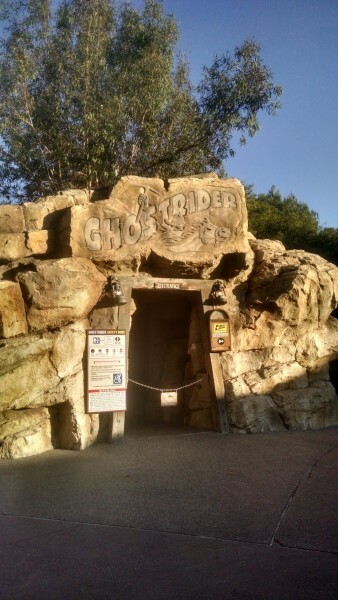 I had sort of forgotten that the entrance to GhostRider is a little bit by itself, and with the shops that are directly around the entrance closed, the area was, well, kind of like a GhostTown. 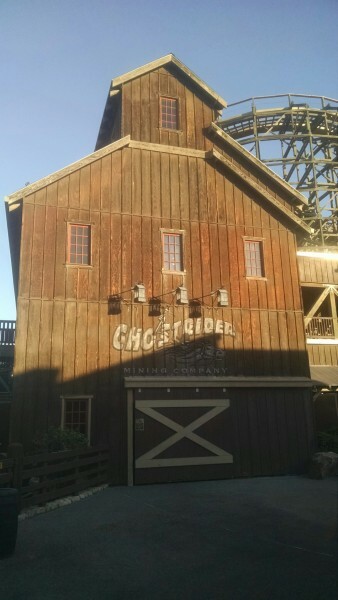 Peaceful for taking GhostRider pictures, but sort of weird to be so empty. If you want a detailed construction update, check out some of the videos from In The Loop, they’re doing a great job covering it. Looking forward to reopening next Spring! 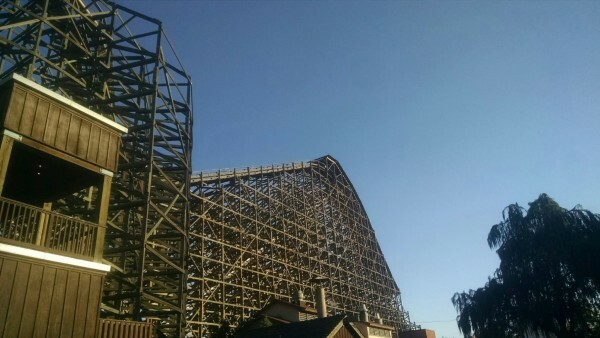 It does look like some track and wood has been replaced. Walking through GhostTown really reminded me how good a job Knott’s does with the theming of that area of the park. Maybe even more than at Disneyland, it feels like an Old West town (probably because of the lack of glowing Mickey ears and such). With multiple streets of town, and multiple actual traditional looking shops, like the Blacksmith and the crafts shops, it makes it feel more authentic. 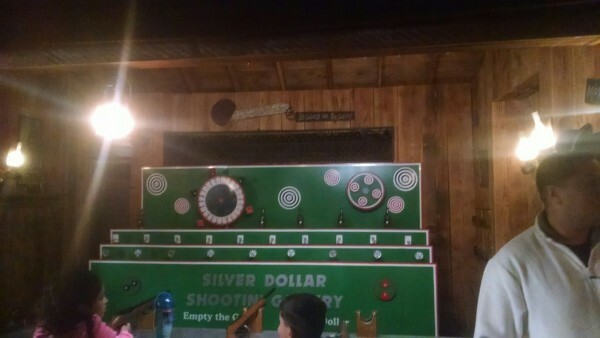 Love the old time shooting gallery style games. The holiday decorations were not extreme, but did blend nicely with the existing design. 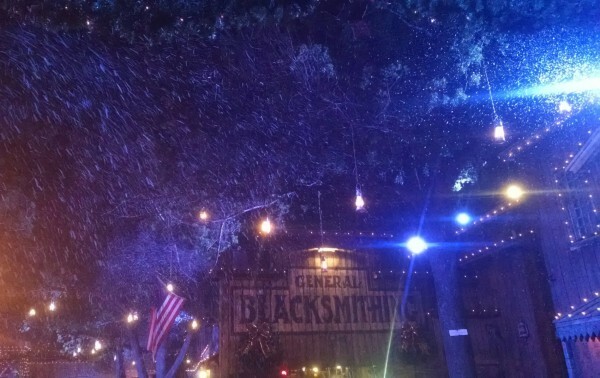 One of the highlights of Knott’s Merry Farm is the snow that falls multiple times a night on the main street of GhostTown, and I have to say I was pretty impressed. I was skeptical at how much they could make it actually feel like snow, but enough machines, combined with some clever lighting, really do make it feel like the whole street is getting a complete dusting of snow. And the other guests around me seemed to be big fans. A little tough to see, but the courthouse stage was heavily decorated for the holiday show. 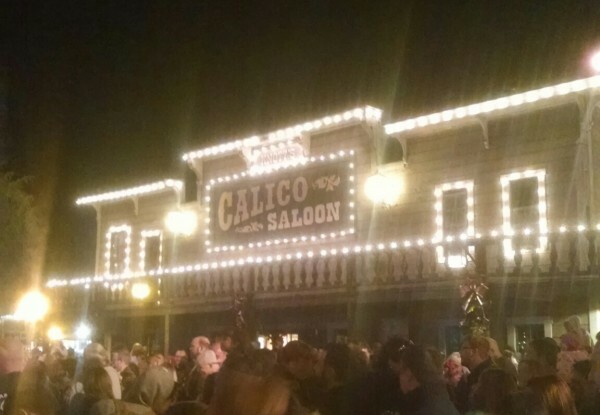 Calico Saloon decorated for the holidays. 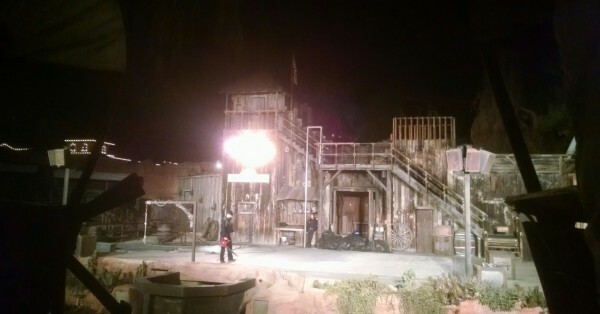 In addition to the tree lighting show, I also went to one of my favorites, the comedy Wild West Stunt Show. I think the show is the same as it has been forever (or at least for the last five or so years), but I enjoy the cheesy jokes and goofy stunts. In between stunt shows, the leaf blower shines. Having taken in some shows and been snowed on, I did another quick stroll through Ghost Town and took a ride on the Calico Mine Ride. 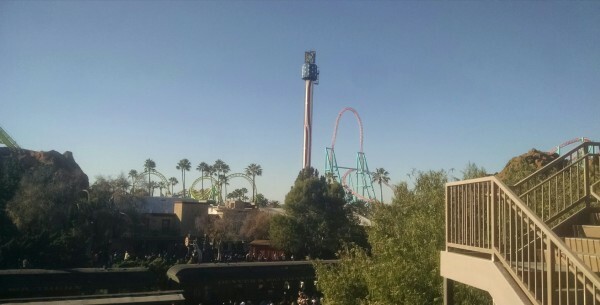 This is another area where Knott’s really stands out. I think the animatronics and designs on the mine ride hold up against Disney equivalents, and again at a park that costs a fraction (at this point as low as 1/3) of Disneyland, that’s an impressive feat. 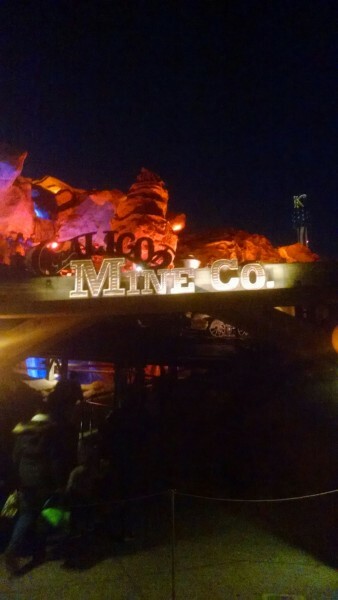 The Calico Mine Ride has some of the best animatornics and set designs outside of Disneyland, it’s an excellent dark ride. 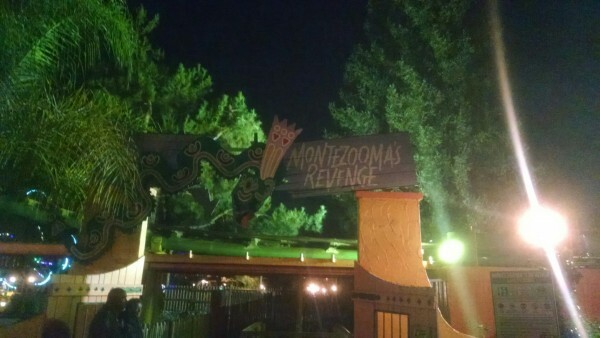 Lastly, I took a ride one of my favorite coasters, Montezuma’s Revenge. The last operating Schwarzkopf shuttle loop in North America, it’s still a wonderful ride (and with almost no wait!) One of my favorite ride designs, I was really sad when the Tidal Wave/Greased Lightnin’ was removed from California’s Great America, my home park, back in 2002. Luckily Knott’s has kept theirs, and kept it running well. It such a great, simple design, I actually wonder why more parks don’t still have one, or have a more modern equivalent. It offers a great experience in such a nice compact space. I’m crossing my fingers Knott’s never gets rid of theirs, and that the lines stay nice and short! One of my favorite coaster designs, and so compact! Despite the long lines that limited the number of rides, Merry Farm was a good time. The trip reminded me of what a good job Knott’s does with it’s theming and park design, and I got to ride a Voyage to the Iron Reef, which was a new experience that was better than I was expecting. 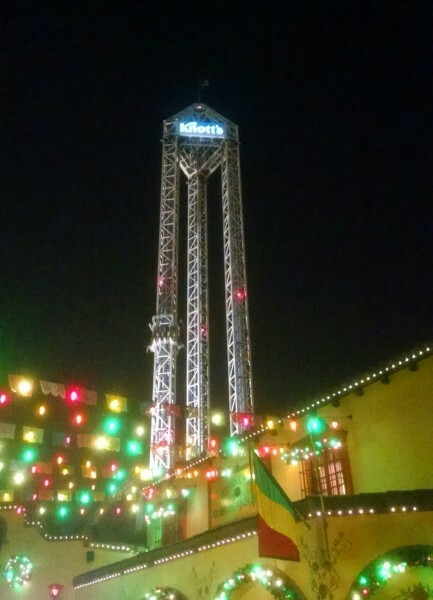 Knott’s remains one of the best deals for family entertainment in Southern California, with great attractions for thrill seekers and families alike. 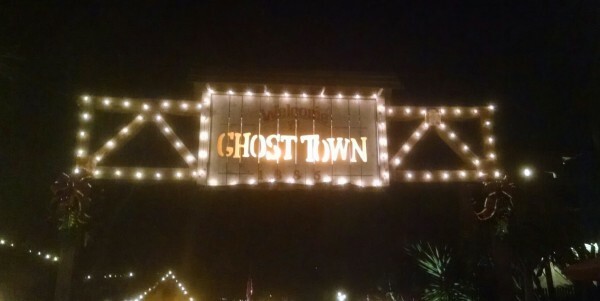 I can’t wait to get back next year to check out the new Ghost Town attractions and the reopened GhostRider. 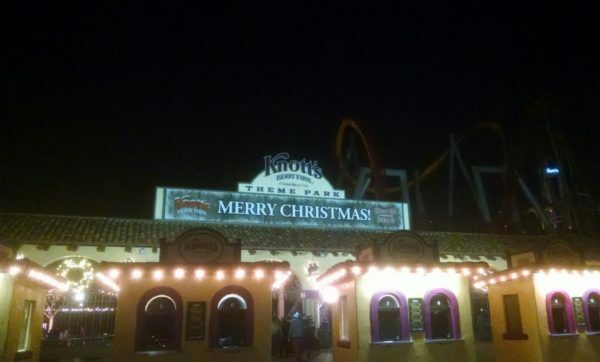 If you want to check out more about the park, and the remaining Merry Farm dates and hours, check the Knott’s website. Have you been to Merry Farm this year or before? What are your thoughts on the experience? 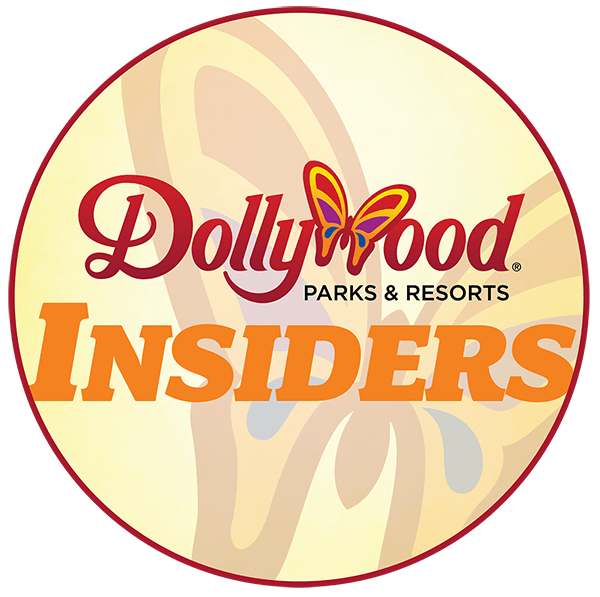 Let us know in the comments below, and stay tuned for our report and review of Magic Mountain’s Holiday in the Park later this week!